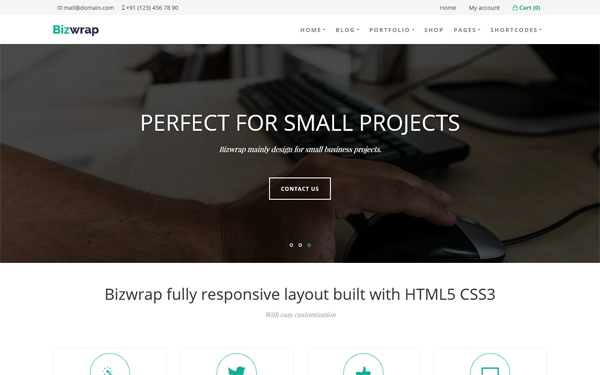 Bizwrap is a clean, modern and multi-purpose WordPress theme. The theme uses the powerful Bootstrap 4 and takes advantage of its features: grid system, typography, elements and more. It is fully responsive and looks great in smaller devices. The theme was built with a lot of care and every part of the theme is very well explained and documented, so your life will be very easy working with it. Whether you are building a corporate website we are sure that Bizwrap will perfectly fit your needs.